Back in February, I wondered if organizations would return or refuse donations from the Sacklers in the wake of new revelations that specific family members like Richard, former chairman and president of Purdue Pharma, played a far more extensive role in promoting OxyContin than previously known. Over a month later, we have an answer. 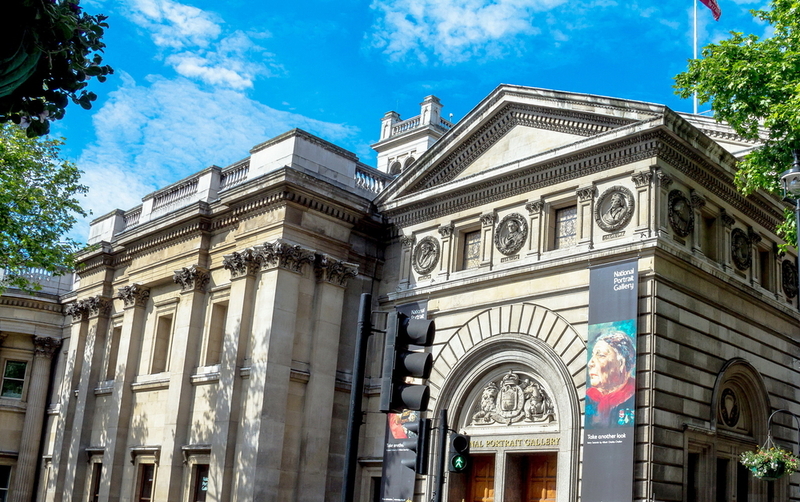 On March 19th, London’s National Portrait Gallery (NPG) became the first major art museum to put a donation from the Sackler family on hold when it announced it would not accept a $1.3 million grant from the Sackler Trust. The dominos began falling in quick succession. A few days later, the Tate announced it will reject all future donations from the Sackler Trust. On March 22nd, the Solomon R. Guggenheim Museum in New York became the first major American museum to announce it would no longer accept donations from the family. On March 25th, the Prince’s Trust, a charity set up by the Prince of Wales to help young people into education, training and work, renounced future Sackler donations. The same day, the Sackler Trust said it would temporarily cease all philanthropic giving in the U.K. so the issue of family members’ alleged role in fueling the U.S. opioid epidemic “will not be a distraction for institutions that are applying for grants.” The Dr. Mortimer and Theresa Sackler Foundation, a smaller charity that gives funds on behalf of the wider Mortimer Sackler family, also suspended all charitable giving in the U.K.
On March 26th, Purdue Pharma and the Sackler Family agreed to pay $270 million to the state of Oklahoma to avoid going to trial over the company’s role in the opioid epidemic. Two days later, New York state prosecutors filed a lawsuit against OxyContin maker Purdue Pharma and the Sacklers, alleging they fraudulently transferred funds out of the company. Events are unfolding quickly. The first British and American museums pledged to refuse Sackler cash. That’s a momentous and portentous development. And with Purdue Pharma and the Sackler family facing approximately 1,600 lawsuits, we’re embarking on not the beginning of the end, but the end of the beginning, to paraphrase Churchill. As a result, a few questions come to mind: Why did three museums refuse Sackler family donations in one week? After all that’s come to light in the last year, why are organizations still holding on to past Sackler donations or, at the very least, refusing to renounce future gifts? And how much longer can these organizations sidestep this issue? Let’s begin by taking a closer look at the British institution that catalyzed this startling chain of events. In June 2016, the Sackler Trust pledged $1.3 million as part of the NPG’s “Inspiring People” project, a $47 million initiative to revamp the gallery. The gallery’s ethics committee spent a year debating whether to accept the money. Meanwhile, photographer and activist Nan Goldin threatened to boycott the institution and cancel a planned retrospective if it accepted the grant. Goldin has called on art institutions to reject future gifts from the Sacklers and to remove the family’s name from the walls of their buildings. Esquire and the New Yorker published extensive pieces in the fall of 2017 revealing how the Sackler brothers fueled the opioid epidemic. And all the way back in 2007, three former Purdue Pharma executives pleaded guilty to criminal charges that they misled regulators, doctors and patients about OxyContin’s risk of addiction. The executives paid $34.5 million in fines; Purdue paid a then-record $600 million. Why have American organizations been dragging their feet on the issue of Sackler donations? I never found this argument particularly convincing. Organizations make calculated—and admittedly, relative—moral judgments all the time, whether it’s returning gifts from sexual predators or oppressive governments. The NPG agreed with this line of thinking. The Guggenheim decision was even more striking, as the museum’s press release called out gifts received from members of the “Mortimer D. Sackler family.” Mortimer’s son from his second marriage, Mortimer D. A. Sackler, served as Purdue Pharma board member since 1988, eight years before OxyContin was introduced. After nearly 20 years as a trustee at the Guggenheim, he stepped down last year. Sackler’s spokeswoman said he was “overextended.” He was also named in the New York lawsuit. Are Mortimer and Theresa innocent until proven guilty? Absolutely. Is it a bad look for museums to take money from their respective philanthropic entities? Absolutely. It seems reasonable that the museums in question engaged in a cost-benefit analysis and decided that the drawbacks—brand damage, protests, and the opportunity costs of continually responding to the issue—outweighed its benefits. Speaking to the Guardian, Goldin, who staged protests at the Guggenheim and the Met, said she was ready to “create chaos” if the Tate had not disavowed Sackler money. “It was going to be creative,” she said. At this point, it’s worth remembering that none of these museums are returning millions of dollars worth of donations. This is an important distinction replete with separate layers of complexity. One factor that could make it easier for institutions to return Sackler money right now is that the family and its lawyers have their hands full. Dozens of high-profile legal battles to ensure their name remains on buildings probably won’t help them in the court of public opinion. Second, Soskis argues that Sackler cash can “provide a civic opportunity” or be justified when viewed through the lens of “utilitarian calculus.” In other words, in the cutthroat world of museum and higher ed fundraising, these donations advance the institution’s mission. Defensive university and museum administrators have been relying on this line of defense quite a bit as of late, often with mixed results. This line of reasoning may be understandable since it comes from a spokeswoman at a beleaguered state school. Affluent universities sitting on endowments worth tens of billions? That’s a harder sell. Especially as more unsavory revelations about the Sacklers keep coming. Richard Sackler, son of Raymond, is also named in the New York lawsuit. Richard served as Purdue’s president from 1999 to 2003, when OxyContin sales were at their peak. Documents released by the state of Massachusetts regarding a separate lawsuit portray him as particularly repellent. Salovey’s talking points strain credulity. For starters, Yale’s “mission” hopefully includes more than amorally vacuuming up donor dollars. And second, Yale’s “mission” won’t be imperiled by the loss of a $3 million grant. Its last capital campaign closed in 2011 after raising $3.88 billion. In July of 2018, Yale launched the silent phase of its next major capital campaign. I suspect that by the time you finish reading this article, Yale has raised at least $3 million. Which brings me to another reason the administrators remain reluctant to return or refuse Sackler cash: The Sacklers are nice people. This may sound a bit odd, but remember, philanthropy is built on relationships, some of which span decades. In many cases, administrators and fundraisers probably considered the Sacklers to be their friends. And no one wants to throw their friends under the bus. Asked whether Yale considered the source of the Sackler family’s wealth a factor in deciding whether to accept their donations and why the university ultimately accepted them, Yale’s Dean of the School of Medicine Robert Alpern said the family had always been professional and never asked for anything in return. Let’s set aside the absurd idea that good manners can erase an alleged role in propagating the opioid crisis. Alpern should understand that donors always ask for things in return. That is a cardinal rule of big-time philanthropy. If the Sacklers—or any other donor—wanted nothing in return, the gift would have been made anonymously. What the Sackler family got “in return” are buildings adorned with their name, effusive praise, ribbon-cutting ceremonies, good PR, and maybe, just maybe, a sliver of psychological absolution. Yale hasn’t been alone among elite schools in facilitating this makeover. The Sacklers have given millions to American universities like Cornell, Stanford, Harvard and MIT. Administrators at these institutions may also believe that refusing Sackler cash will threaten their mission or that the Sacklers and other mega-donors give with purely altruistic motives. But believe it or not, schools have actually refused Sackler cash without having to declare bankruptcy. The University of Washington announced it was discontinuing a program funded with $1.5 million in Sackler money that has supported 21 postdoctoral researchers. “I think, like everyone, we were surprised by the extent of what was reported in terms of the alleged practices of members of the family in relation to the marketing [of OxyContin],” said Victor Balta, a spokesman for the university. Meanwhile, Columbia University said it had “re-evaluated accepting donations from the Sackler family’s philanthropies and [was] not taking gifts from them.” Tufts issued a similar press release. If leaders at American universities and museums have compelling reasons for keeping Sackler cash or accepting it in the future—especially if the donations in question are relatively small—they’re going to have to make a much stronger argument than those offered by Yale’s Salovey and Alpern. Indeed, Goldin considers American organizations’ persistent inaction on the matter disturbing, telling Artnet News, “Museums need to live up to their mandate and their mandate is to be a repository for the best of human values. Universities are supposed to be places of vision and learning.” Goldin found it “outrageous” that no major U.S.-based institutions, as of March 19th, had publicly refused Sackler funding. Less than three days later, however, the Guggenheim did precisely that. The Guggenheim’s press release said the museum received a total of $7 million in gifts from members of the Mortimer D. Sackler family initiated in 1995 and paid out through 2006 to establish and support the Sackler Center for Arts Education.” The museum received an additional $2 million between 1999 and 2015. “No contributions from the Sackler family have been received since 2015,” read the release. Similarly, according to the Guardian, the Dr. Mortimer and Theresa Sackler Foundation and Sackler Trust gave roughly $5 million and $10 million, respectively, to U.K.-based organizations in 2018. Again, returning Sackler cash—or at the very minimum, refusing future donations—sounds like a no-brainer, but American museums, like universities grappling with the issue of revoking honorary degrees, have lacked a roadmap to navigate these uncharted waters. A Guggenheim spokeswoman declined to explain its rationale for the move or its decision-making process. Many commentators have noted that while the opioid epidemic continues to ravage the United States, British institutions ultimately took the lead on this issue. In fact, while not a “major” institution on par with the NPG or Tate, South London Gallery returned $164,000 to the Mortimer and Theresa Sackler Foundation last year, paving the way for the NPG’s decision. British institutions’ solicitation and subsequent rejection of Sackler cash reveal yet another layer of irony: European museums have been methodically transitioning to American-style big-time philanthropy—the Brits call it “sponsorship”—as public funding for the country’s national museums has declined over the past decade. The largest recipient of Sackler cash since 2001 is London’s Victoria and Albert Museum to the tune of $12.7 million. Given this new reality, not everyone is thrilled with developments in the U.K. Professor Christopher Frayling, a former rector of the Royal College of Art and former chairman of the Arts Council England, argued that drawing rigid moral guidelines will have a deleterious effect on a British arts ecosystem increasingly reliant on private dollars. So where do things currently stand? At the time of this writing, the Guggenheim is the only American museum to publicly renounce future Sackler gifts. On March 25th, a spokeswoman from the Smithsonian threaded the needle a bit, saying, “at this time, we have no plans to approach any member of the Sackler family for a donation.” And Ken Weine, vice president and chief communications officer for the Met, said it was aware of Tate’s announcement, but that the museum had nothing to add to the statement issued last month by Daniel Weiss, the Met’s president and chief executive. But at the very least, the NPG’s gallery has given organizations an opening. Let’s not lose sight of that. For the past year and a half, museums and universities repeatedly sidestepped the issue. Administrators cautioned against setting a dangerous precedent or imperiling the institution’s mission. Lawyers sighed and shook their heads in resignation. PR offices issued milquetoast and evasive statements. Commentators cautioned against judging the various players. Recipients of Sackler largesse attested to their admirable selflessness. Then the NPG, the Tate, and the Guggenheim refused future Sackler dollars, while the University of Washington discontinued a program funded by Sackler donations—and the next day, the sun still rose in the east. Adrian Ellis, director of AEA Consulting, which works with nonprofits in the United States, Britain and elsewhere, said that the rejections of Sackler money would put pressure on other museums to state what funding they will and will not accept. Looking ahead, keep an eye on some of the other recipients of Sackler donations, including the New York Academy of Sciences, Dia Art Foundation, and the American Museum of Natural History. These institutions can’t sit on the fence forever.